Scientific systems exist today to help manage both sides of the equation; demand and supply, build versus buy, etc. Let’s start with basic inventory management and keeping stock levels accurate. Here is where we go to Inventory Optimization, Forecasting and Families and Groupings systems. Why were they developed and how do they work? Why do they exist? Supply Chain: A supply chain is a linked set of resources and processes beginning with sourcing of raw material, extending through to the delivery of end items to the final customer. This isn't just chicken feed, it is the life source of your business. A supply chain is comprised of vendors, manufacturing facilities, logistics providers, internal distribution centers, distributors, wholesalers and all other entities that lead up to final customer acceptance. Demand - the overall market demand for a product. Supply - the overall quantity of a product in the market. Product Characteristics - features and functions influencing the customer's demand for your product. Competitive Environment - the actions of all businesses striving to create demand and satisfy demand with a given product. Qualitative - speculative in nature, this method relies on a person's opinions of a market. Casual - assumptive in nature, this method assumes that demand is strong based on specific environmental and market factors. Quantitative - also known as "Time Series," scientific in nature, this method uses historical patterns as an indicator to forecast future demand. Simulation - a combination of casual and "Time Series," this method aims to imitate consumer behavior in a given set of circumstances. Families and Groupings not only allows you to analyze and forecast stock items at an individual level (as is possible using the Manual Forecasting, Batch Forecasting, Approve Draft Forecasts, Demand History Maintenance and Pareto Analysis programs), it also allows you to model forecasts at an aggregated level. This is achieved by creating collections (i.e. a group or a family) of stock codes or warehouses you classify in a way which is meaningful to your business. Once created, a collection is treated as a single item against which comparisons and forecasts can be made. Policy is set according to the collection defined which in turn defines how investment (stock holding) and service level are balanced for each item. A collection stipulates prerequisites to aggregated Families and Groupings forecasting. Forecasting, apart from the stock code level, is advantageous particularly when considering product mixes do not, necessarily, always fall within definable data relationships. However Families and Groupings extend those relationships to include virtually any combination of item mixes into forecast collections. The next level, Inventory Optimization aggregates supply chain and service levels into a feature rich set of tools for managing and delivering goods at each level of demand and supply planning. On one hand you have demand for the eggs; on the other the factory capacity and chickens. When do we know how many eggs are needed and by when to satisfy demand through the supply chain? We don’t want to over buy (costs) or over produce (shelf-life) or overload the supply chain and pay more or lose the yield? How does the supplier/grower maintain chickens & feed (organic or other)? Downstream we have consumers and oops, Easter is coming. How many eggs can be produced by chickens per a day/week/month? How many hours does a chicken stay on the job before they are put out to pasture? County Grocery Inc. inventory history shows they serve a neighborhood of about 1500 homes (names & addresses). Each home has on average six to twelve eggs on-hand (1/2 to 1 Dozen). They consume 2.5 dozen eggs each month average. So that is about 3500 dozen per month considering all sizes of eggs sold. 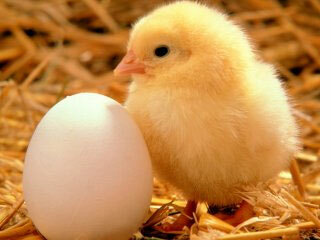 Eggs have a shelf-life of between 15 and 60 days depending on storage and transportation. The Farm Fresh Eggs Company sells eggs exclusively to this grocery store. The sales history for the “egg farm” shows there is an average in-store on-hand quantity for any week of about one hundred dozen or 1200 eggs in their refrigerated storage. Deliveries are once per week. Using history of sales and use we can see how many “were” sold, used and prior demands against prior stock levels. With this information we can also see “into the future” by using these same numbers to predict what we will need and when to order or produce. Okay, I'm not sure about you, but my head is starting to swim. If you can't get your mind wrapped around sensible meanings you can manage, where can you go from here?